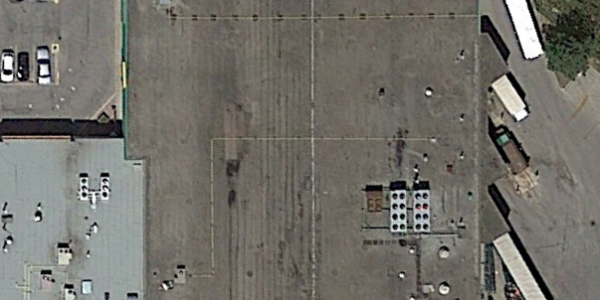 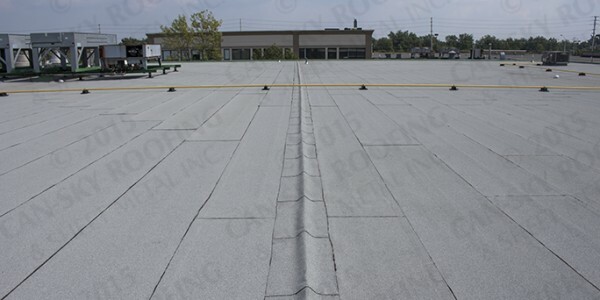 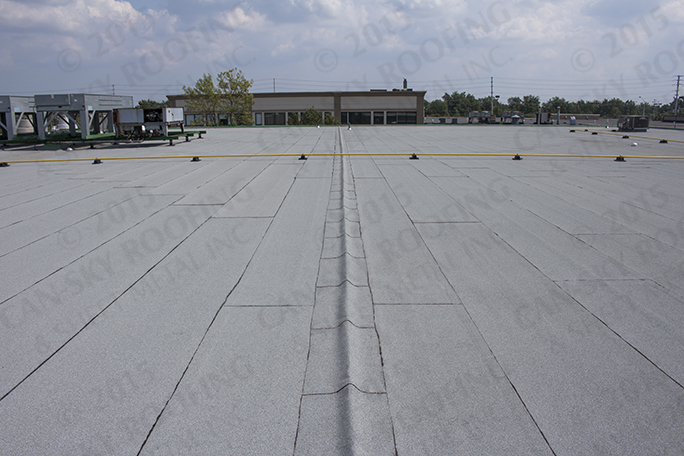 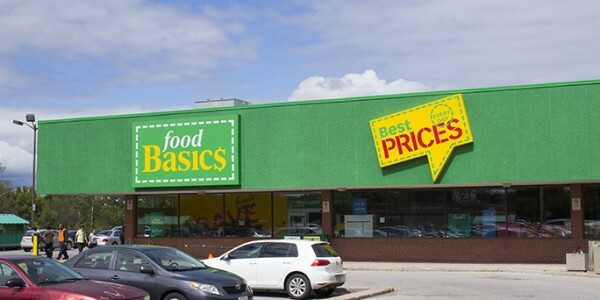 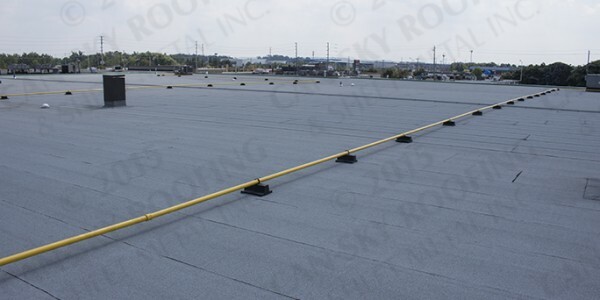 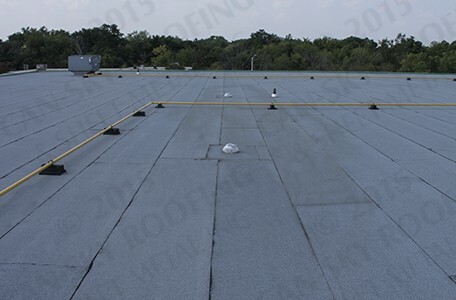 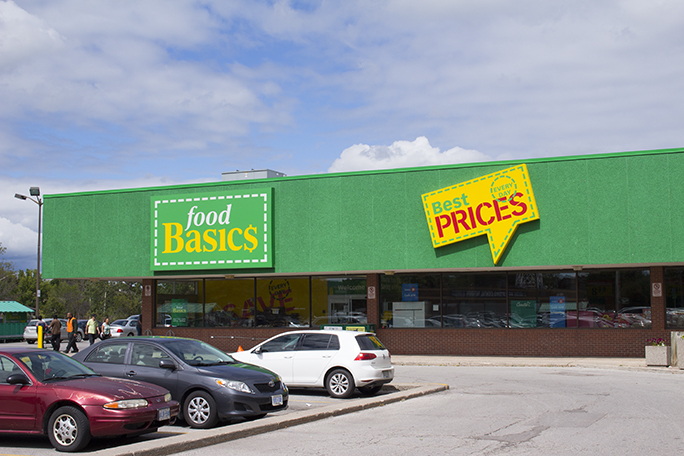 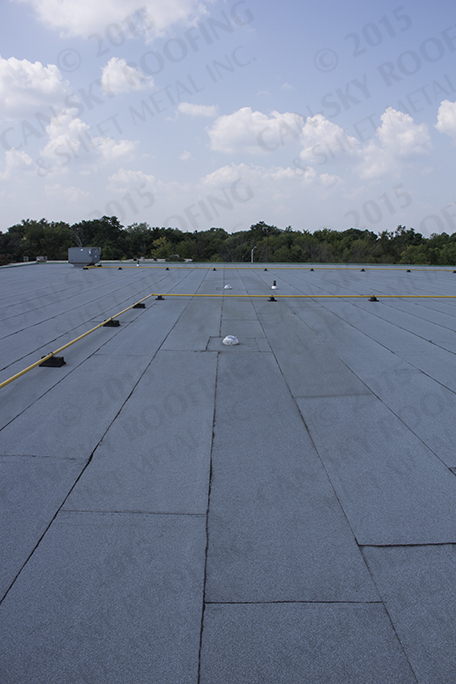 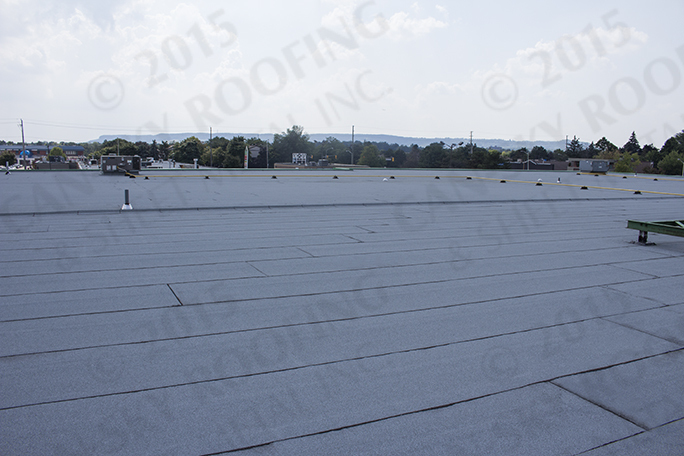 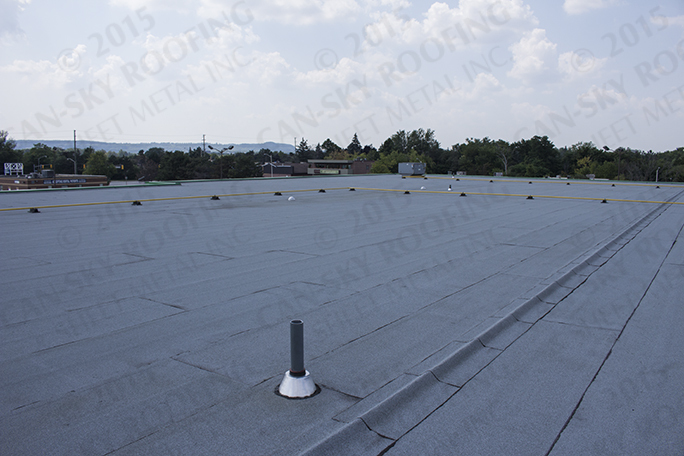 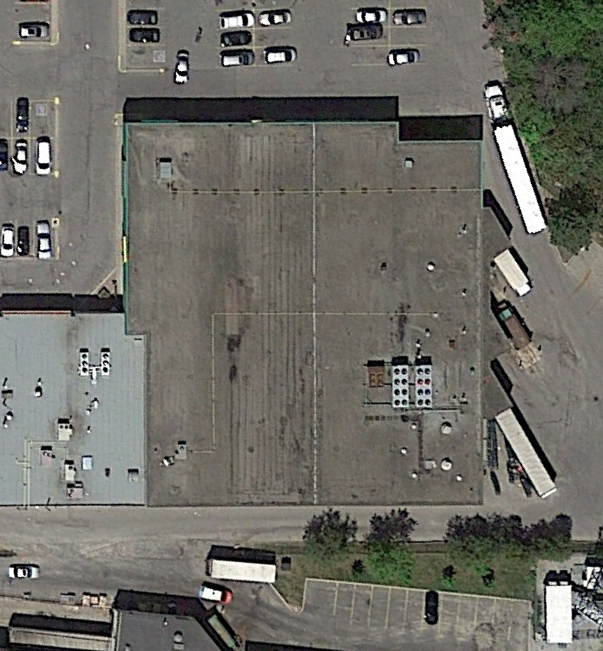 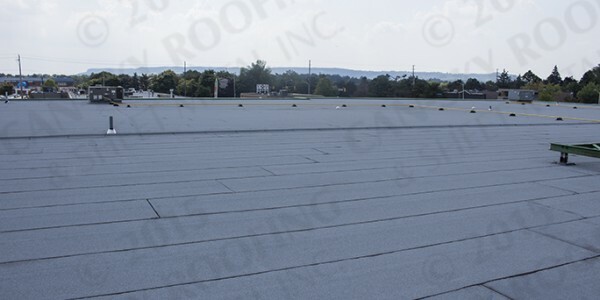 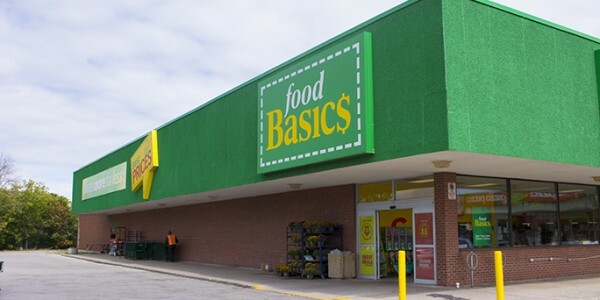 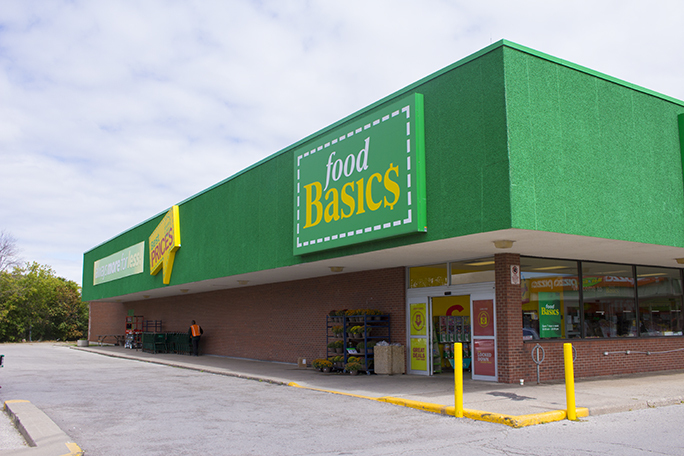 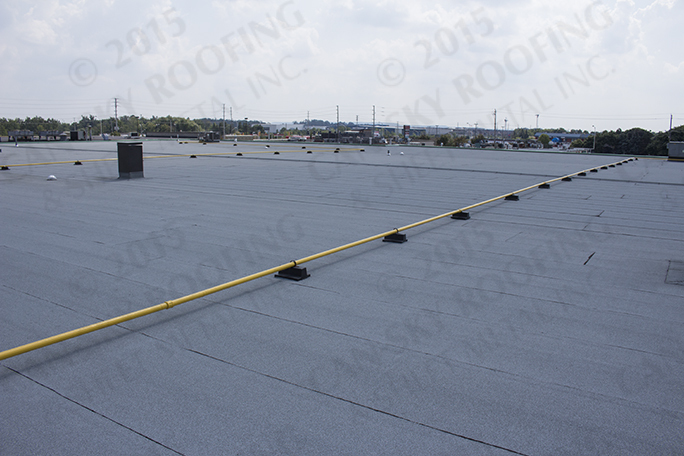 Project Details: This commercial roofing project consisted of a complete flat roof replacement over a Food Basics grocery store. 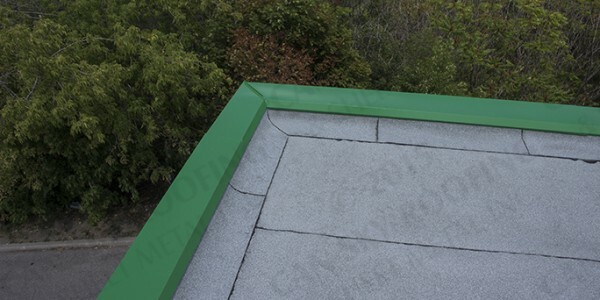 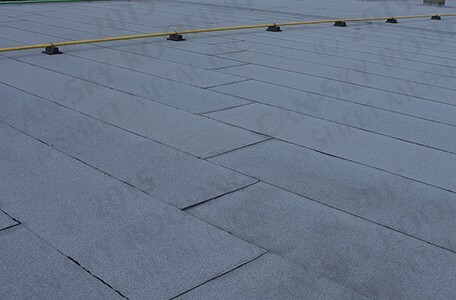 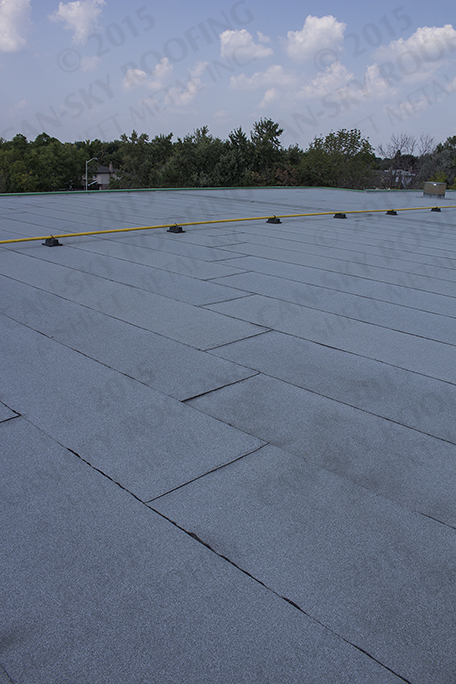 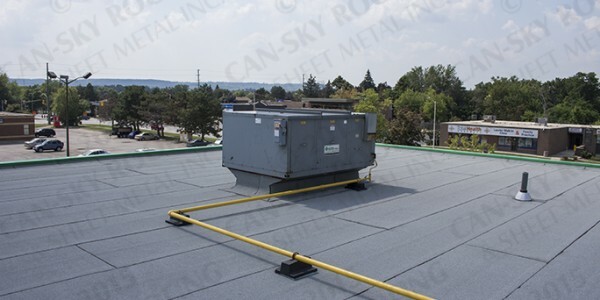 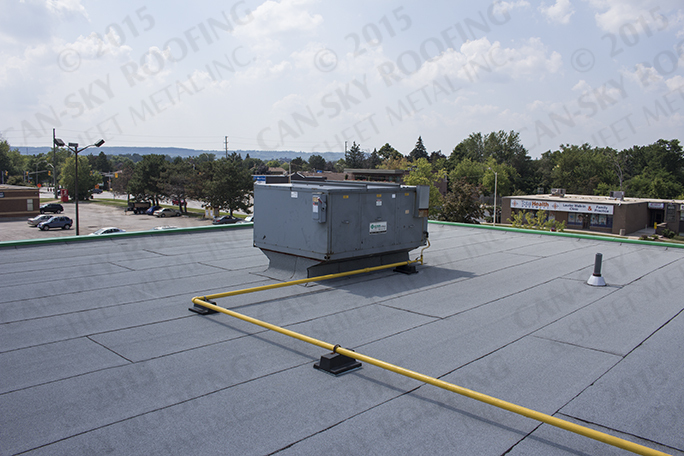 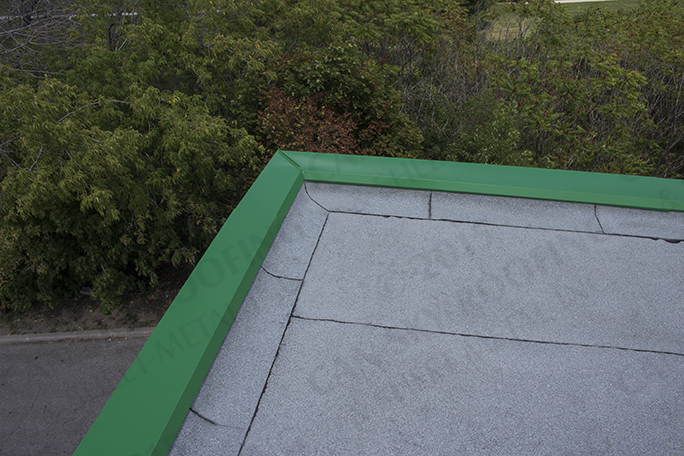 The new flat roof system is outfitted with 3.0″ of polyisocyanurate insulation mechanically fastened to FM 1-90 standards and a modified bitumen membrane – one ply of 180G SBS base sheet hot applied in asphalt bitumen, and one ply 250G SBS cap sheet torch applied. 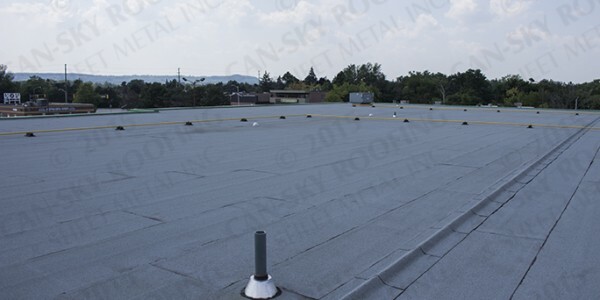 The underlying structure on this building is designed to slope the steel deck to the drains – a roof divider was installed to create sectionals that divide the drainage areas.